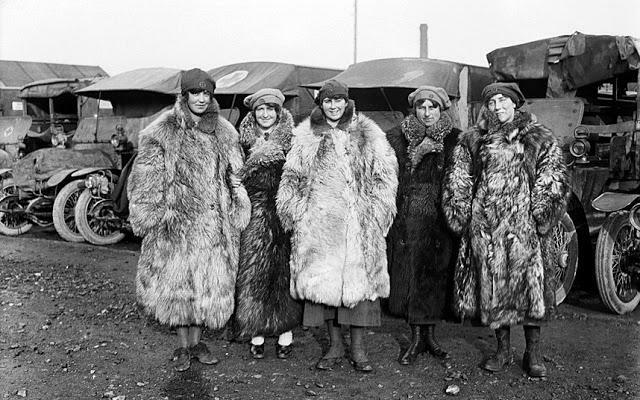 Before World War I, less than 10 percent of the female population were actively employed. They typically played the role of the homemaker. 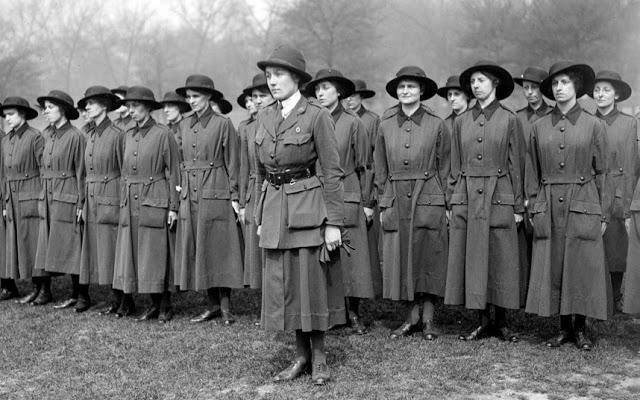 As men left their jobs to serve their country in war overseas, women took over. 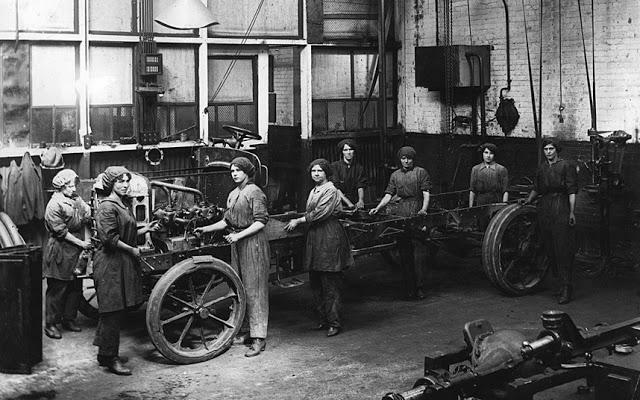 By the outbreak of the war, the number of working women had risen three fold. 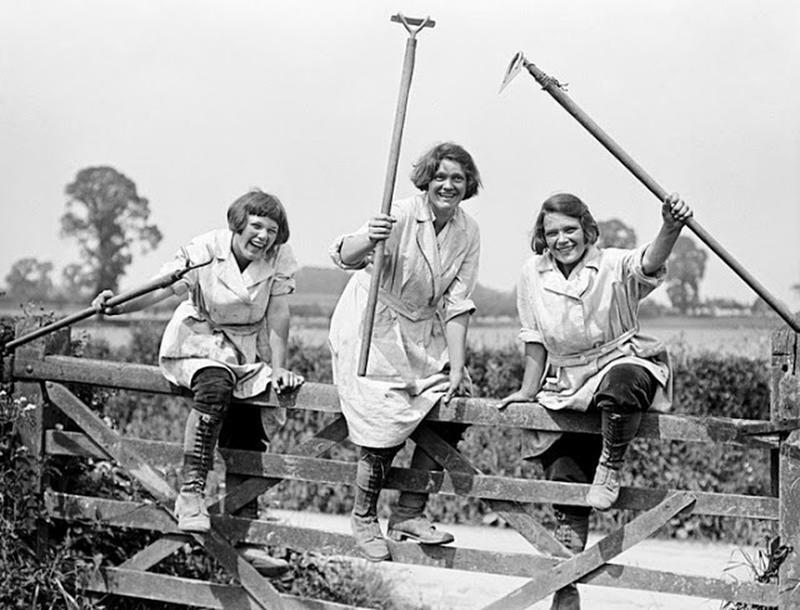 Members of the Women's Land Army smile as they raise tools while climbing over a gate, 1916. 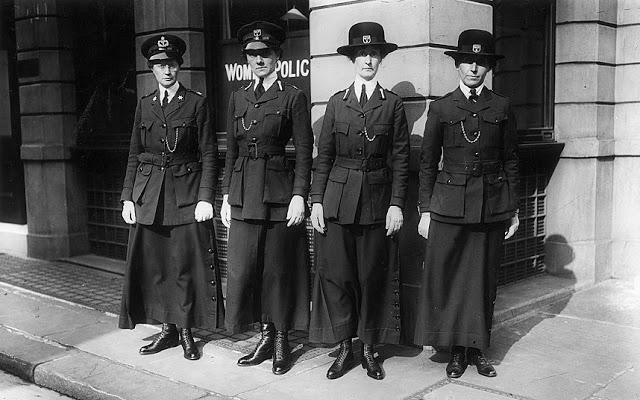 Members of the women's police service, 1916. 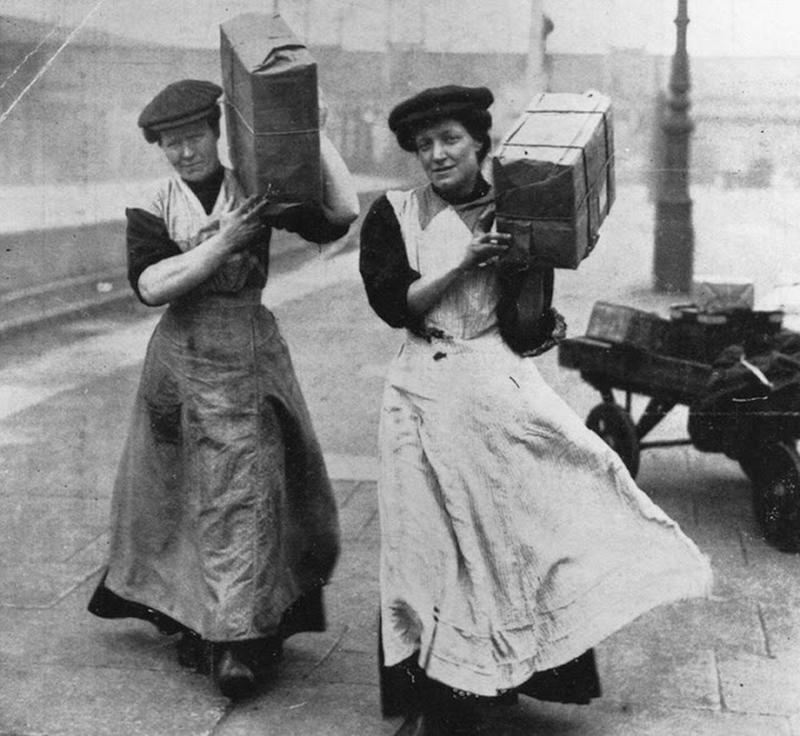 Women replace the traditionally male porters at Marylebone Station in London during the First World War. Five ambulance drivers of the First Aid Nursing Yeomanry (FANY) at Calais, January 1917. 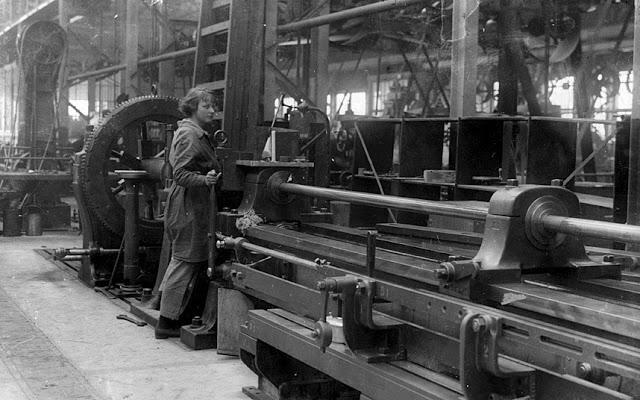 A young woman in an armaments factory, circa 1916. Women's Army recruits drilling, May 1917. 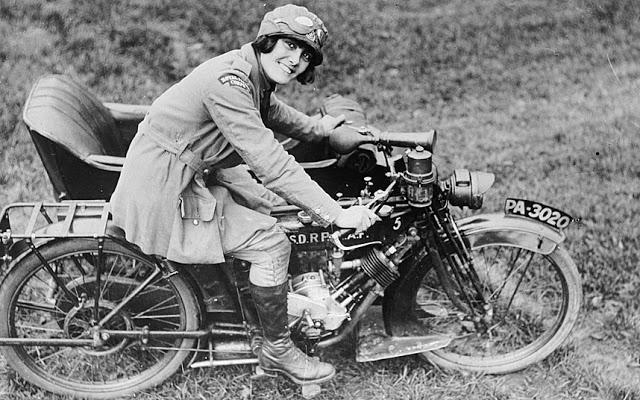 A motorcyclist with the Women's Royal Flying Corps. on a Clyno motorcycle combination, circa 1916. Women working in an engineering shop, 1917. 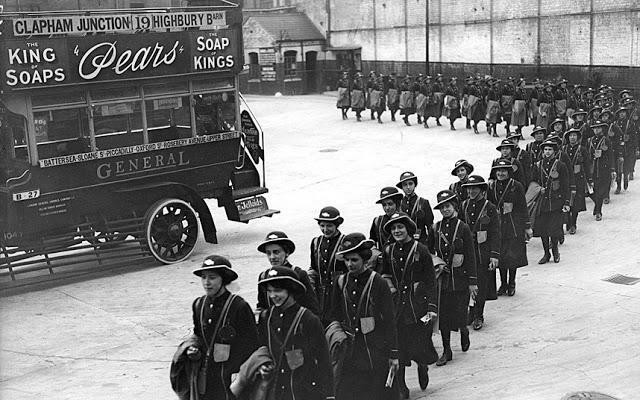 A line of bus conductorettes marching into their depot for the start of a day's work, Spetember 1917. 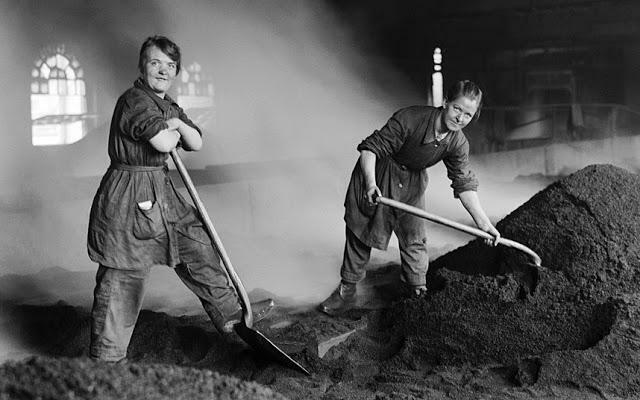 Women war workers feed the charcoal kilns used for purifying sugar at a refinery in Scotland, circa 1916. 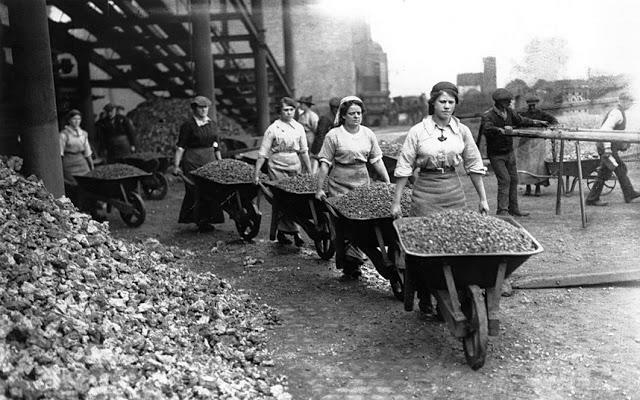 Lady navvies pushing loaded wheel barrows in Coventry, 1917. 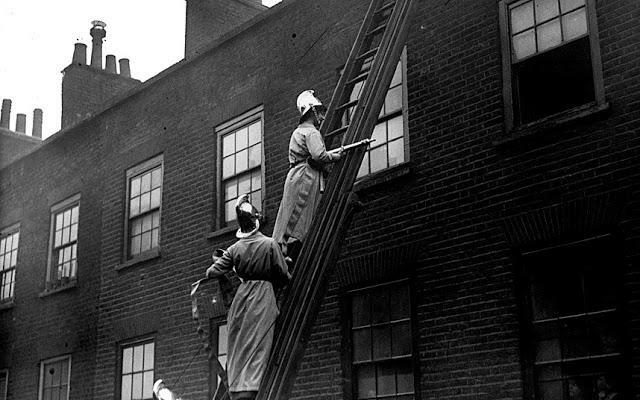 Members of the Women's Fire Brigade on a fire drill with hoses and extingushers at full force, 1916. 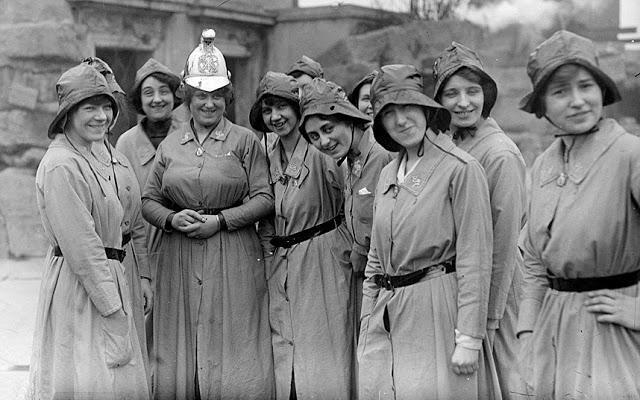 Members of the Women's Fire Brigade with their Chief Officer, March 1916. 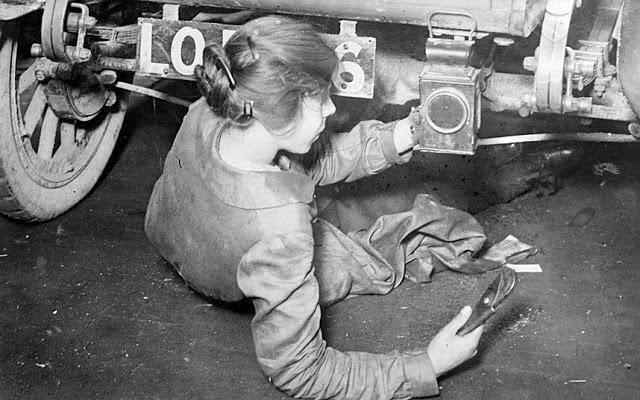 A female mechanic works under an automobile while performing repairs to the vehicle, 1917. 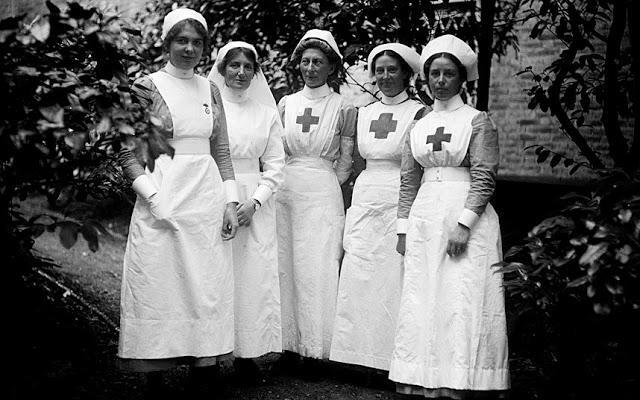 A group of nurses at Hamworth Hall which served as a Red Cross Hospital, 1915. 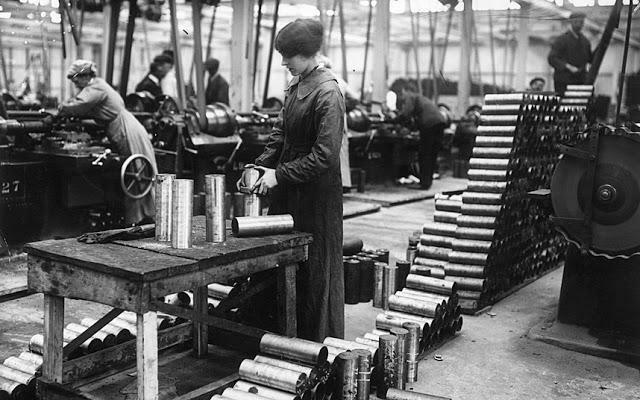 Women in a Vickers factory making shell casings, 1915. 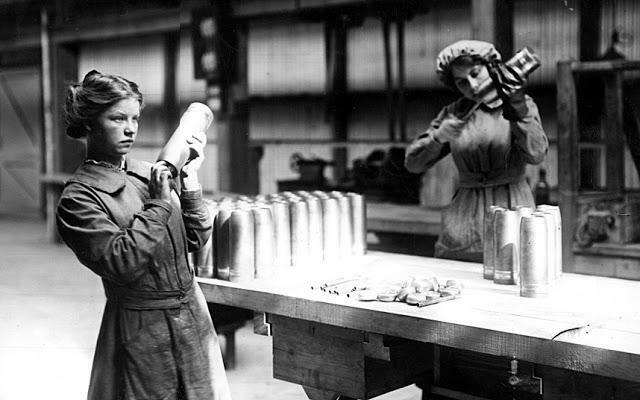 Women at Vickers fitting interior tubes inside the shell casings, 1914. 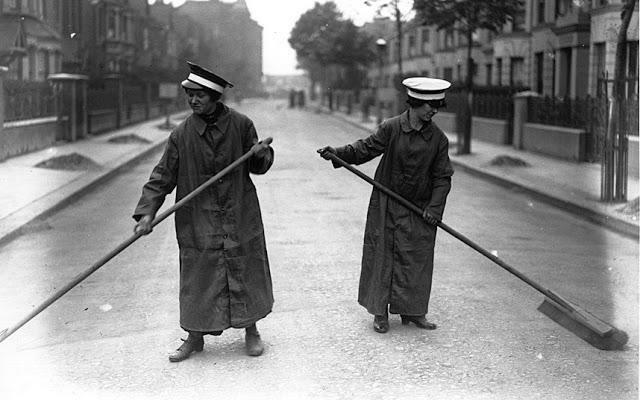 Two women sweeping the road in Chiswick, London, 1914. 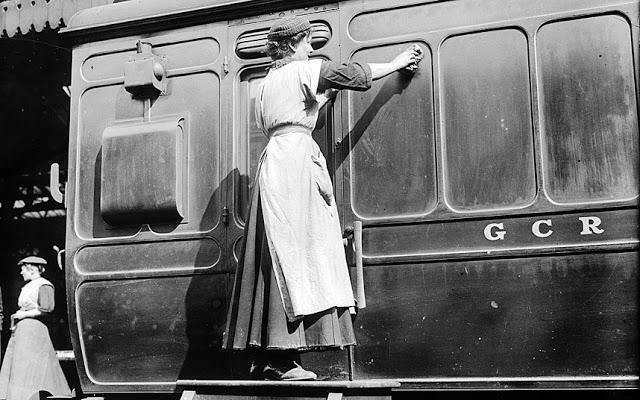 A member of the Women Porters at Marylebone Station giving a Great Central Railways carriage a thorough clean, circa 1914. 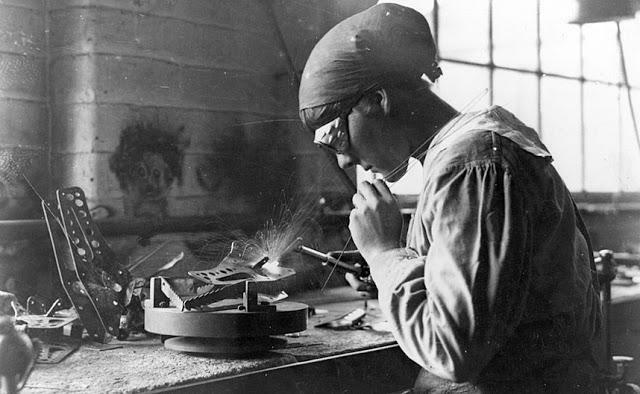 A munitions worker welding at a workbench, circa 1915.